Another indefinite hiatus could be in order starting this week. The last installment for the “Diamond Days” arc has been released and it also marked the conclusion of “Steven Universe” season 5. Now, the wait for new episodes officially commence. Fans know Cartoon Network for notoriously not keeping a consistent schedule for this animated series. “Steven Universe” season 5 was riddled with long breaks. “Steven Universe” season 5 only had 29 episodes but its release dates were stretched from 2017 to 2019. For example, there was more than five months gap between episodes 4 and 5. Fans saw another long gap after the release of the 25th episode in July 2018. It served as the official opening of the “Diamond Days” arc but the story did not continue until last December. Now that “Steven Universe” season 5 is officially over, fans will certainly have to brace for another hiatus. The “Diamond Days” arc covered Steven’s arrival at the Homeworld. It concluded in an hour-long special that aired on Monday evening. It also marked the ending of “Steven Universe” season 5. The 29th episode was known for two titles “Change Your Mind” and “Battle of Heart and Mind” that both pretty well summed up the events in the finale. 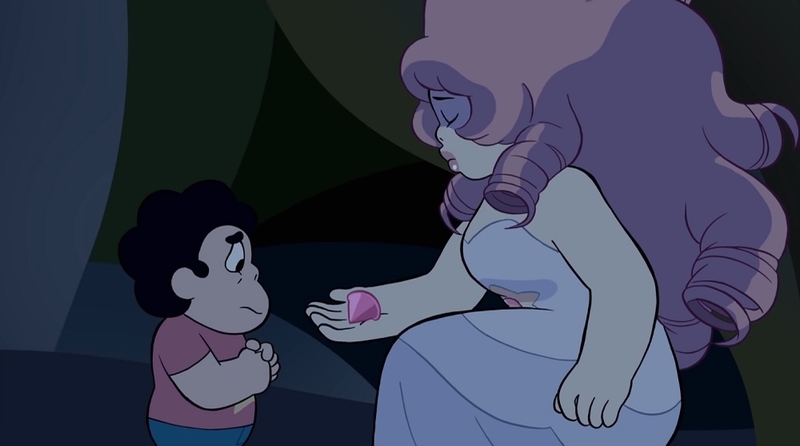 “Steven Universe” season 5 episode 29 further explained why Pink Diamond left the Homeworld. Aside from the culmination of Pink Diamond’s storyline, viewers were treated with the surprising twists of Gem fusions that introduced Rainbow Quartz 2.0 — Steven and Pearl’s fusion. Many fans and reports are commenting that the ending of “Steven Universe” season 5 already felt like wrapping up the entire series. And, based on the viewers’ reactions, “Change Your Mind” would actually suffice as a series finale. But Cartoon Network previously confirmed in an Instagram comment that “there’s so more to come” after the fifth season. A “Steven Universe” movie is also slated to premiere this year.